Carlos Tevez is an Argentine professional footballer who plays as a forward for English club Manchester City. He has previously played for Boca Juniors, Corinthians, West Ham United and Manchester United. He transferred to Manchester City from United in the 2009 summer transfer window, becoming the first player to move between the two rival clubs since Terry Cooke in 1999. His energy and goal scoring rate has since made him an indispensable player for the club in the eyes of fellow players and media alike. He was promoted to captain at the beginning of the 2010–11 seasons by manager Roberto Mancini. Aged 16, Tevez made his debut for Boca Juniors against Talleres de Cordoba in the during the Torneo Apertura of the 2001–02 Argentine Primera Division, on 21 October 2001. Boca Juniors were crowned champions of the 2001 Copa Libertadores and faced Bayern Munich at the 2001 Intercontinental Cup on 27 November, where they lost 1–0, however Tevez was not included in the squad. He went on to score 1 goal in 11 league appearances in the 2001–02 seasons. Boca had finished in 1st place of their 2002 Copa Libertadores group and had reached the quarter-final stage, where they faced Paraguay's Club Olimpia. Tevez scored after 18 minutes in the first-leg to give Boca Juniors a 1–0 lead, until Olimpia levelled the socres in the 67th minute when Boca defender Cristian Traverso scored an own goal, on 8 May. Boca lost the second-leg 1–0 in Asuncion on 16 May Boca finished three points behind Independiente to finish in second position during the Torneo Apertura. Boca Juniors eventually finished four points behind River Plate to claim second position in the Torneo Clausura. 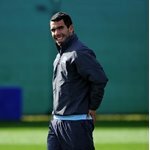 In January 2005, Tevez was transferred to Brazilian Serie a club Corinthians for a fee of US$16 million cash and youth players worth US$2 million. 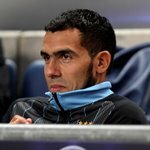 The agent and Tevez also received an additional 15% and 10% transfer fee respectively. The transfer fee has also been reported as US$22 million. 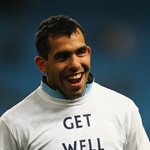 Tevez signed a five-year, £6.85 million contract following the Brazilian club's deal with Media Sports Investment. The deal was the biggest transfer ever in South American football. Investigation by Brazilian police later revealed that MSI owned 35% of the player rights (through BVI company MSI Group Limited) while another 65% owned by Just Sport Limited, another BVI company. 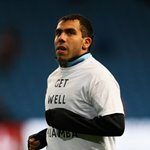 Tevez captained the squad to the 2005 Campeonato Brasileiro, and he was named the league's best player by the Brazilian Football Confederation, becoming the first non-Brazilian player to win the award since 1976.